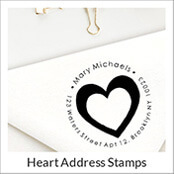 Simply Stamps: Address Stamps Made for You, Hundreds of Designs! 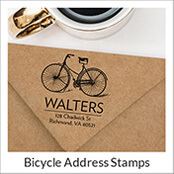 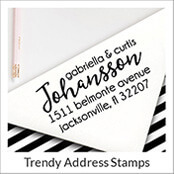 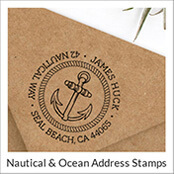 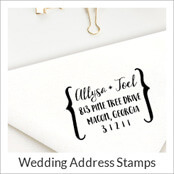 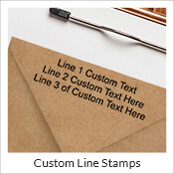 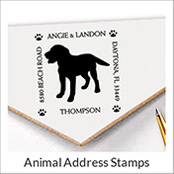 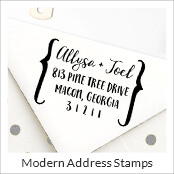 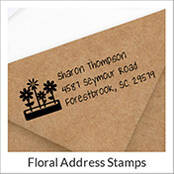 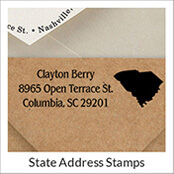 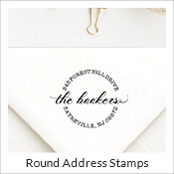 Simply Stamps is your one stop shop for personalized address stamps! 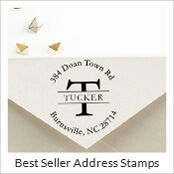 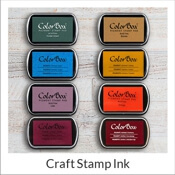 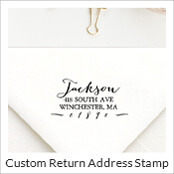 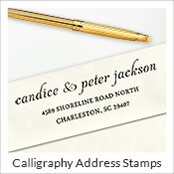 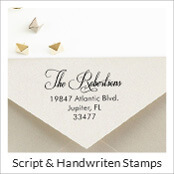 Made from the highest quality workmanship and rubber stamp materials, we offer one of the largest online selections of custom address stamps available in a variety of designs, stamp styles, and personalized stamp options. 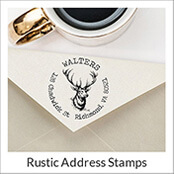 Combining from and function, our return address stamps are a convenient and economical way to adorn your outgoing letters, packages, tags, and more! 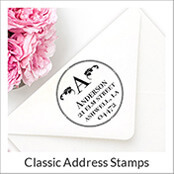 Whether you’re looking for a pre-designed template or prefer to design-your-own address stamp, our wide variety of personalized address stamps is sure to inspire your creativity. 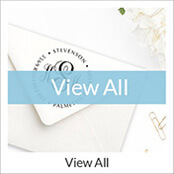 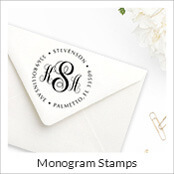 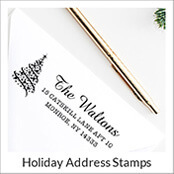 From round address stamps to specialty shapes, monogrammed address stamps to holiday return address stamps, your perfect stamp is just a few clicks away. 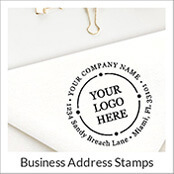 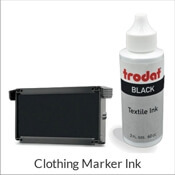 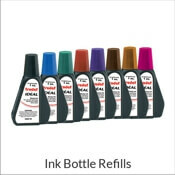 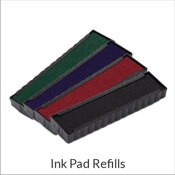 Our pre-inked and self-inking address stamps are made to last for thousands of impressions before needing additional ink. 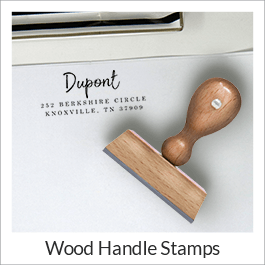 Our European wood handle address stamps are made of solid oak and create laser quality impressions with our eco-friendly, water soluble ink pads, available in a variety of colors and specialty inks.